- WWF Royal Rumble '94 (January 22) = The Quebecers (Pierre & Jacques) retained the WWF World Tag-Team Titles, winning, via ref's decision, over Bret & Owen Hart. - WWF Jacques Rougeau Retirement Show (October 21, '94) = Oulette fell to Jacques Rougeau. 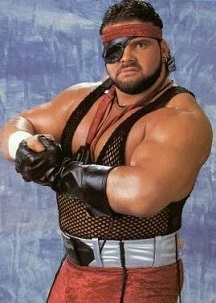 - WWF In Your House 1 (May 14, '95) = In a dark match, Jean Pierre Lafitte defeated Bob Holly. - WWF In Your House 2 (July 23, '95) = In a dark match, Lafitte was beaten by Bret Hart. - WWF In Your House 3 (September 24, '95) = Lafitte was forced to submit to Bret Hart. 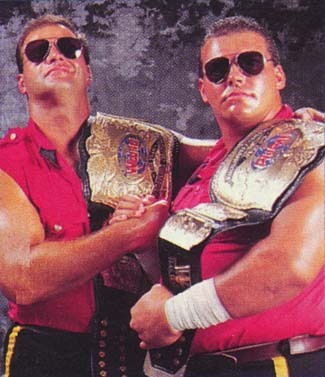 - WCW World War III '96 (November 24) = The Amazing French Canadians (Pierre Oulette & Jacques Rougeau) fell to Harlem Heat. 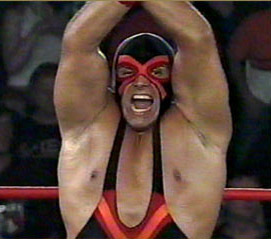 Later on, Oulette competed in the "WWIII Three-Ring Battle Royal", which was won by the Giant. - WWF No Way Out '98 (February 15) = The Quebecers (Oulette & Jacques Rougeau) lost to the Godwinns. - WWF Brawl For All Tournament (June/August '98) = Oulette lost in the first round to Steve Williams. Bart Gunn won the tournament. - AJPW Budokan Hall (July 23, '99) = Oulette was pinned by Akira Taue. - NWA-TNA PPV (Show #68, November 5, '03) = X won a "Battle Royal" over Chad Collyer, Christopher Daniels, Sonjay Dutt, Low-Ki, Chris Sabin, Shark Boy, and Johnny Storm. - NWA-TNA PPV (Show #69, November 12, '03) = In a dark match, X defeated Johnny Storm. - NWA-TNA PPV (Show #70, November 19, '03) = X lost a "Triangle" Match to Sonjay Dutt. Christopher Daniels was the other participant. - NWA-TNA PPV (Show #71, November 26, '03) = X was pinned by Chris Sabin. - NWA-TNA PPV (Show #72, December 3, '03) = X took down Don Harris.